DENVER, COLORADO, UNITED STATES, December 3, 2018 /EINPresswire.com/ -- Protein Brokers, LLC the Master Broker for Temptee Specialty Foods has put together a sales and marketing plan for Nationwide Distribution of Temptee Products which include the Old Timer Brand and Temptee Brand Products. Temptee is able to produce products in multi truck load quantities and 2,000 LB batches for small up and coming restaurant chains and small manufacturing companies under their own secret and propriety recipe. Protein Brokers, LLC and Temptee Specialty Foods offer consulting and new product development programs for large, medium, and small startup companies wanting to expand. Temptee has extensive experience over the years helping start up companies go National by providing proteins to many companies including Chipotle Mexican Food Restaurants, Noodles and Company and Q'doba. They all had their unique individual recipes which Temptee proudly accommodated. Phils Fresh Foods, launched their Evol Burritos line, with the emphasis on natural and organic foods and Temptee was a part of their success. Temptee is proud to be one of the company's chosen to help grow all of these terrific brands. Temptee Specialty Foods are proven experts in producing All Natural, Fully Cooked Ready to Eat Shredded Beef, Shredded Pork and Shredded Chicken and continue to expand their market share. They have a complete line of Fully Cooked Sausages that include Denver Style Hot Links, Polish and Hot Polish, Hot Links, Chorizo Raw and Fully Cooked, Cheddar Brats, Honey Bourbon Smoked Sausage, and Pre-cooked Ready to Eat Fresh Scrambled Eggs with an extended shelf life. The product line includes Hot-Italian Hoagies, thin sliced beef, sliced and whole skirt fajita, chicken loaf, herb chicken, smoked chicken and Que Bueno chicken. Temptee produces many private label sausages and pre-cooked eggs for National Restaurants Chains, Food-Service Distributors. Retail Gocery Chains and Wholesale Manufacturers under USDA and FDA Inspection in their Denver facility. 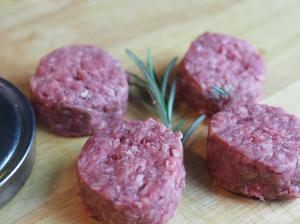 The 5 C Cattle Group out of Texas recently granted Temptee Specialty Foods the contract to grind and pack the world sought after Chianina Beef Burgers. 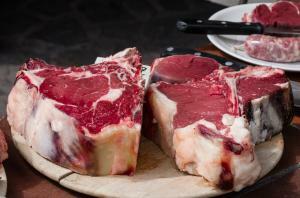 Chianina Steaks sell for as much as $187.00 for a 35 Oz Porterhouse Steak and are in high demand in the USA. Chiania Cattle are from the Florence and Tuscany Region of Italy and have been introduced to the USA so we all can enjoy the delicious firm rich texture of one of the oldest breeds of cattle in the world.